What if a supplement could jumpstart your brain and have it firing on all cylinders? That’s exactly what Mind Lab Pro’s universal nootropic claims to do. But can it really give you the mental clarity, focus and enhanced memory it says it can? 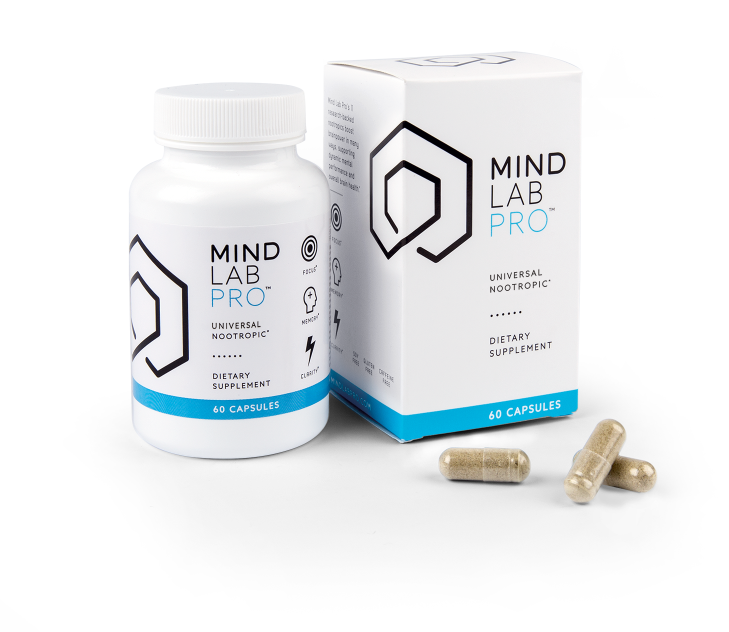 Mind Lab Pro knows how complex the brain is, and they’ve created a nootropic that’s equally as complex. This supplement contains 11 nootropics, and they work on 6 bio-pathways to optimize a wide range of different cognitive functions. This is the most complete nootropic I’ve ever seen. And I wasn’t surprised to see so many positive Mind Lab Pro reviews. But is it among the best nootropics out there? The proof is in the pudding. Let’s take a look at what’s inside this supplement. 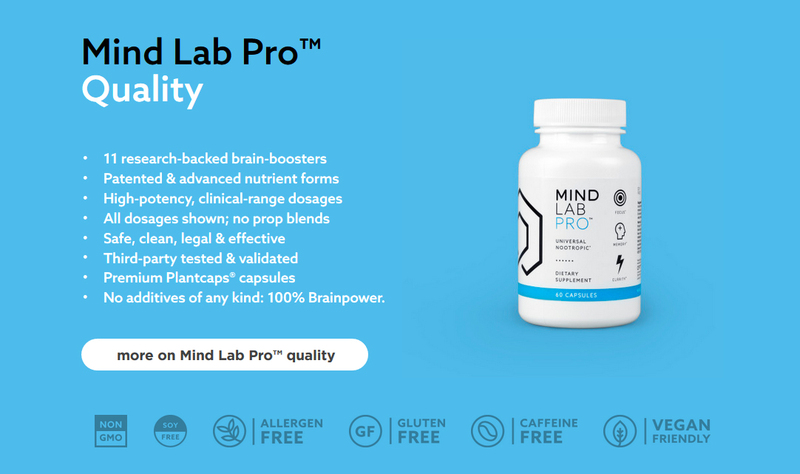 When I first started researching Mind Lab Pro, I was blown away by how thorough the company is with explaining its ingredients, what they do and the science behind them. Every single ingredient in this supplement is backed by research and/or studies that demonstrate their cognitive benefits. How many other nootropics can say the same? MLP is formulated with its own patented form of citicoline, known as Cognizin. 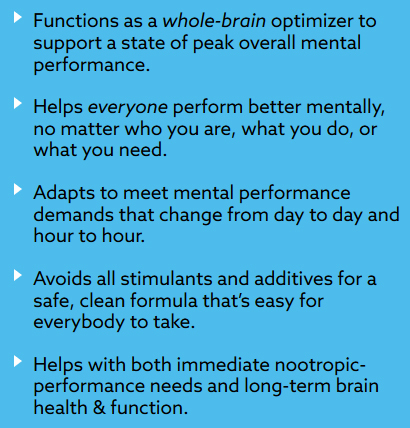 Cognizin benefits the brain by giving you more mental energy, boosting your cognitive function, and improving memory. Citicoline gives your brain cells energy and enhances the neural electrical impulses that power your thoughts. It also helps synthesize PC (phosphatidylcholine), the primary phospholipid in brain cell membranes. The combination of boosting brain cell energy and enhancing phospholipid synthesis allows citicoline to help regenerate and repair brain cells. Human research has shown that Cognizin can help improve memory, mood, attention, concentration and focus. In the long-term, this ingredient may help prevent age-related mental decline and structural changes in the brain. Studies show that Cognizin Citicoline can boost brain energy by 13.6% and the formation of brain cell membrane by 26%. The key active bacosides in Bacopa boosts brain antioxidants, including GPx (glutathione peroxidase) and SOD (superoxide dismutase). Synergistically, this antioxidant activity protects brain cells from free radical damage. Bacopa’s bacosides also promote GABA, acetylcholine and serotonin, which have been proven to be linked to better focus, better memory and balanced mood. Research on animals shows that bacosides may improve cerebral blood flow by as much as 25%. Human research has shown that Bacopa has positive effects on memory retention. Studies show it not only helps slow the rate of forgetting new knowledge, but also boosts mental processing, relaxation and cognition. In a double-blind, placebo-controlled study on adults, Bacopa helped improve verbal learning, early information processing and memory consolidation at 300mg doses. As mentioned previously, PS is a phospholipid, and it accounts for 15% of the fats in the brain. These fats are primarily concentrated in brain cell membranes, and plays a role in numerous brain functions. Research shows that PS can slow cognitive decline while improving memory and promoting a more balanced mood. Among all nootropics, PS has the only FDA-qualified claim for lowering the risk of cognitive decline. Lion’s Mane has a reputation for being the only mushroom that boosts brain health. It’s the erinacines and hericenones in the mushroom that support your brain. Animal research has shown that Lion’s Mane can facilitate NGF (Nerve Growth Factor) production. NGF boosts neural regeneration. One double-blind, placebo-controlled study showed this mushroom significantly improved cognitive function in adults with mild cognitive impairment aged 50-80. Tyrosine is an amino acid compound that plays a role in synthesizing certain neurotransmitters that affect your mood, memory and mental processing, including epinephrine, dopamine and norepinephrine. Research on animals shows that tyrosine may combat brain stress by restoring the neurotransmitters it destroys. Human clinical research has shown that this amino acid compound helps improve memory when multi-tasking and optimizes mental performance when under stress or sleep deprived. Tyrosine also boosts attention and focus, according to research. Pterostilbene is a polyphenol with high bioavailability that is naturally found in superfoods like blueberries and grapes. This polyphenol has soothing properties that help the brain function optimally as you age. In vitro research shows that cells exposed to this polyphenol produce more antioxidant enzymes, such as GPx, SOD, GSH and GR. L-Theanine helps boost alpha brainwaves associated with creativity and a state of relaxation. It works by stimulating both the calming and excitable neurotransmitters, such as GABA, dopamine and serotonin. It is often used to enhance creative problem solving, new learning and creativity. Research suggests that L-Theanine may regulate your brain’s attention circuitry while protecting neurons from damage. Derived from the periwinkle plant, the lab-synthesized vinpocetine increases blood flow to the brain, giving it more oxygen and glucose for energy. The blood flow boost may also help protect neurons that would otherwise be lost due to poor cerebral blood flow. Vinpocetine also acts as an antioxidant and protects the brain from toxins and oxidative stress. Vinpocetine has been shown to improve concentration, attention and memory. In the long-term, it helps prevent age-related cognitive decline and brain degeneration. Rhodiola is thought to help maintain and stimulate neurotransmitters, such as dopamine, norepinephrine and serotonin. It also helps these neurotransmitters cross the brain-blood barrier. Rhodiola is an adaptogenic herb that boosts the body’s resistance to mental and physical stress while helping maintain a clear, calm mind while under stress. Rhodiola also has antioxidant properties and may help protect acetylcholine. Some research suggests that it can boost bioelectrical activity in the brain. An essential vitamin for the body’s nervous system, B12 helps form protective nerve sheaths. It also plays an essential role in the production of brain chemicals and energy metabolism in the brain. Scientists also believe this vitamin balances homocysteine levels, which can help protect blood vessels that transport vital nutrients to the brain. Research shows that 15% of adults over the age of 60 are vitamin B12 deficient. Low levels of this vitamin are associated with cognitive and mood problems. B12 has been shown to improve mood, boost mental energy and allow for optimal cognitive function. Vitamin B6 helps optimize neurotransmitters and by doing so, helps synthesize norepinephrine, serotonin and GABA. This key vitamin protects the blood vessel linings in the brain-blood barrier, which can be damaged by homocysteine. It’s not uncommon for people to be mildly deficient in vitamin B6, and over time, it can lead to cognitive decline. Research has demonstrated vitamin B6’s ability to balance mood, improve mental performance and modestly improve memory. Will you really see results with this supplement? 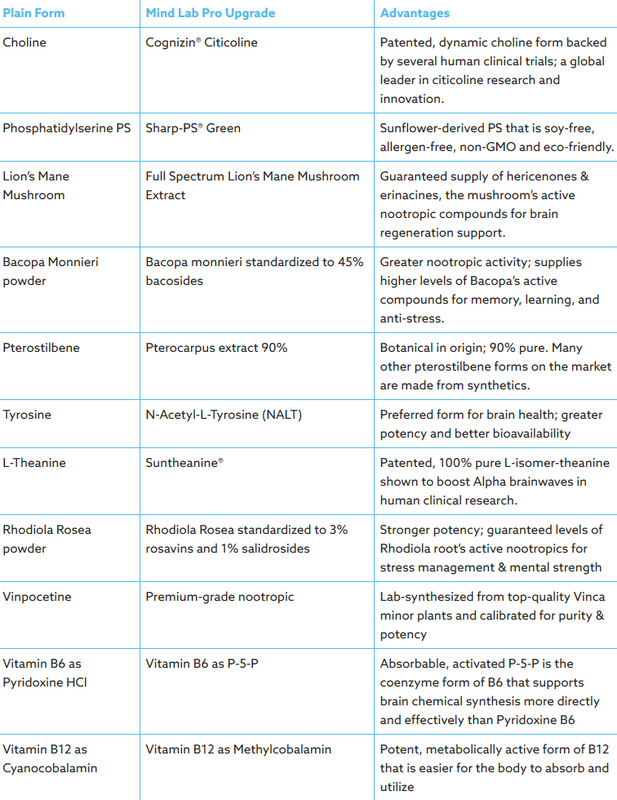 Why should you choose Mind Lab Pro vs. Alpha Brain, or any other leading nootropic? Yes, MLP does work. All the ingredients listed above are backed by research and studies, and are some of the most effective ingredients at improving the brain’s performance. Will you see optimal results overnight? Absolutely not- and don’t buy any smart pill that claims you will. Mind Lab Pro is a true brain supplement. It will take some time for these nutrients to build up in the brain and body, and for you to realize their full effects. You will see some improvements to your focus, concentration and memory right away, and these will only continue to improve over time. Want more proof that this nootropic actually works? What other nootropic offers this level of quality? How Can Benefit The Most From Mind Lab Pro? With a 30-day money-back guarantee and no recurring charges, you have nothing to lose but the brain fog. 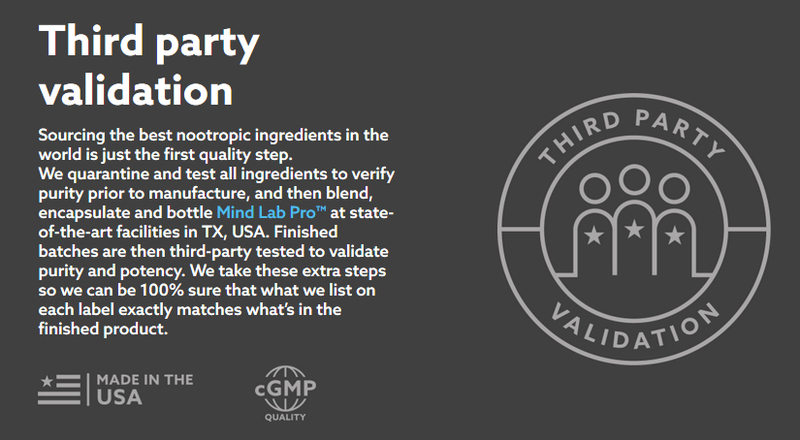 Click here to order your Mind Lab Pro trial today.